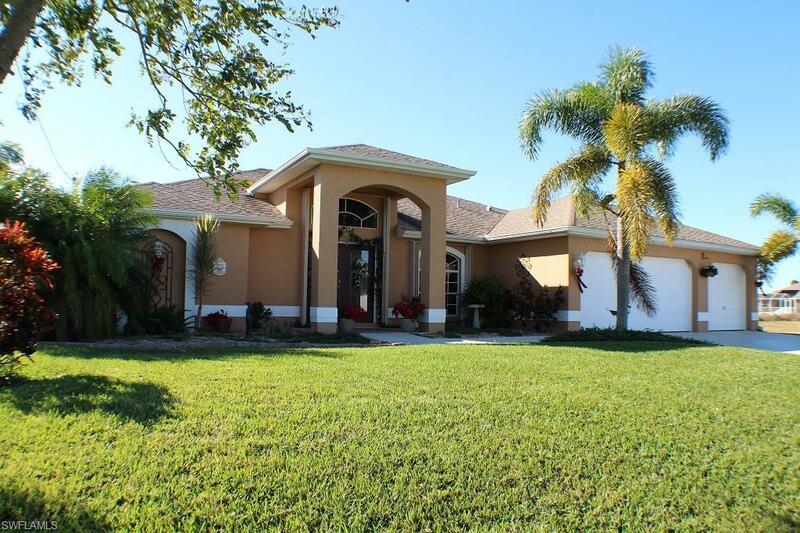 Beautifully maintained four bedroom three car garage home on a great freshwater canal system with many miles of navigable waterways and access to multiple lakes. 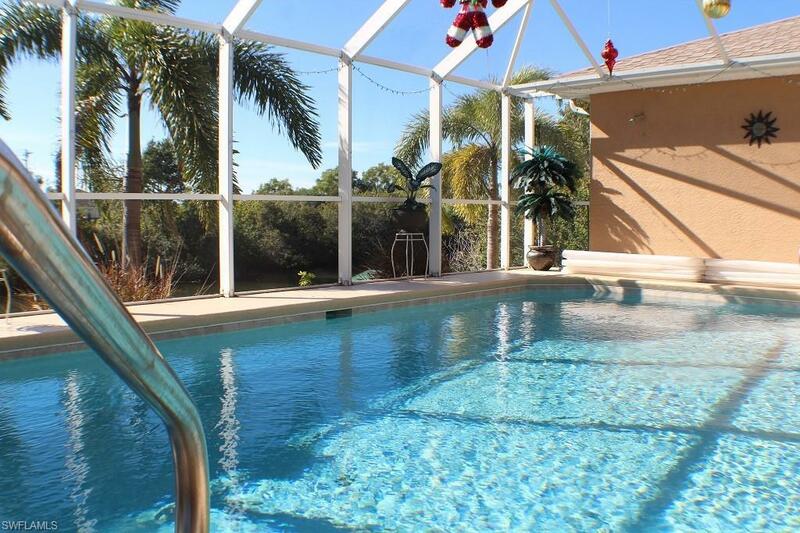 Enjoy the Florida lifestyle in this beautifully landscaped home with your private heated pool and lovely water views. Split floor plan with master en suite with large shower. 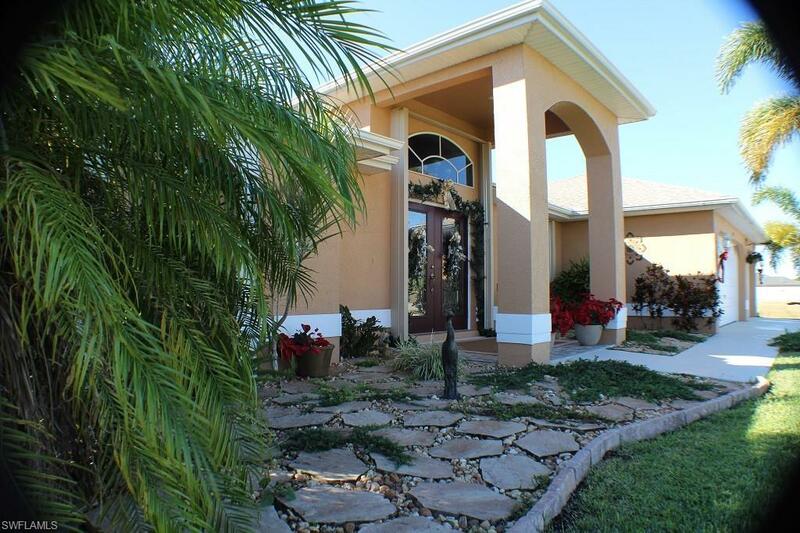 The exterior and much of the interior has recently been painted, easy care Silestone kitchen countertops, custom tiled front entry and lanai, seal coated garage floor with plenty of storage, deep well with Flow Guard sulphur filter, AC installed in 2011. A few other amenities are: outdoor pool shower, seawall, storm shutters (accordion shutters on the lanai, front entry and front windows), Levolor blinds in the bedrooms and family room, beautifully decorated interior. The pontoon boat and trailer with 60 hp Yamaha outboard is negotiable. This is a nice one! 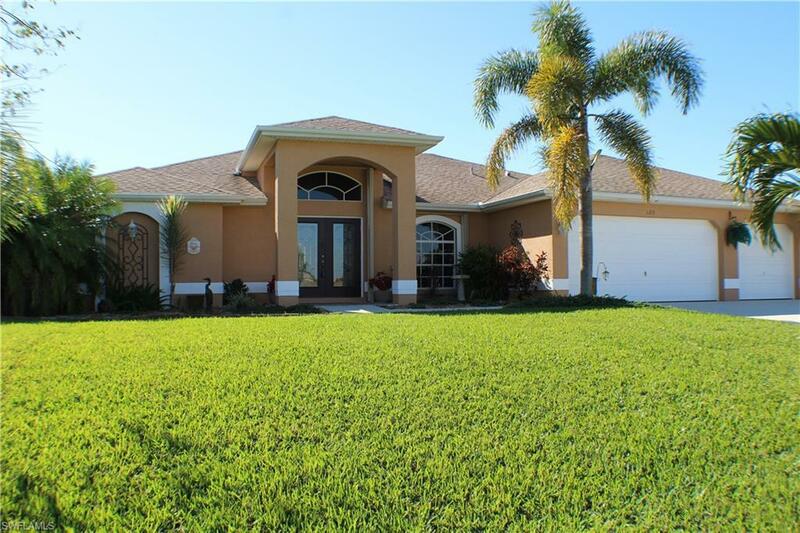 Listing courtesy of Lynn Rosebush of Sunrise Realty Network Inc.